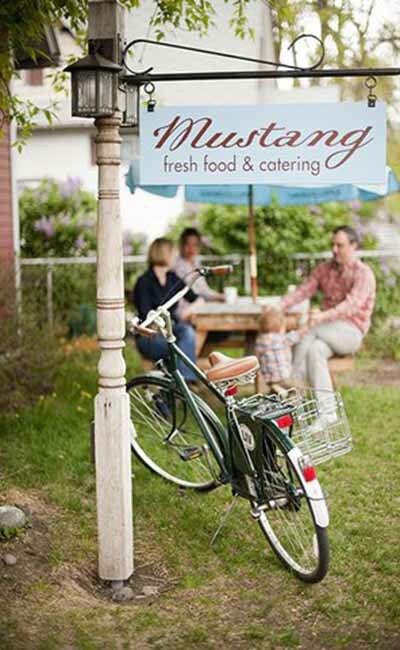 Mustang Fresh Food and Catering serves simple, eclectic comfort cuisine, served in creative ways! Enjoy the intimate setting and personable service that only a chef owner can provide. It will certainly be a meal to remember. Dine in or take out serving gourmet soups, salads, sandwiches and entree. Whether serving an elegant fall harvest dinner in a beautiful mountain lodge or an abundant Montana feast in your backyard, Mustang Catering provides fresh ingredients, elegantly plated meals, and courteous and friendly service. For retail or catering menus view us online at www.mustangcatering.com.